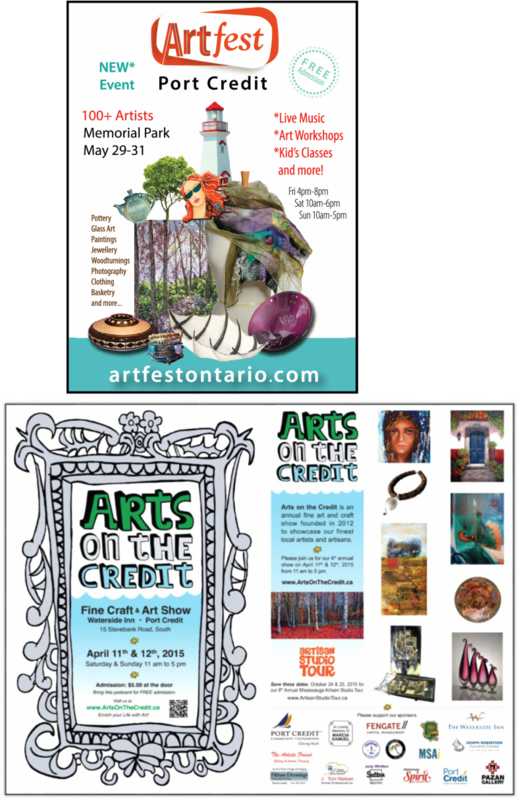 ARTS ON THE CREDIT - COMING SOON! Located between Pape and Jones on the south side of Queen St E. The gallery is accessible by TTC & there is parking available on the street. Please join us in the celebration of Charles Wakefield’s paintings. This show includes new paintings, some figurative, but mostly landscapes and cityscapes of his favourite scenes in the Toronto area. 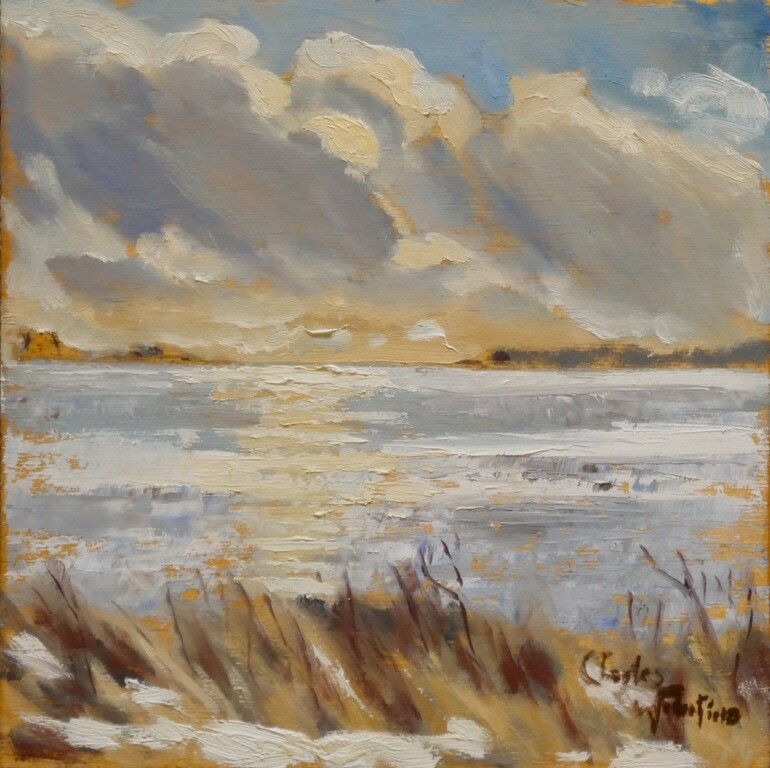 Born and raised in Quebec, Charles came to Toronto to study painting at Ontario College of Art, (now OCAD U), after graduating in both arts and science (Geophysics) from McGill and working in mineral exploration in Canada’s northland. The artist fell in love with the rustic beauty of the north, while at the same time becoming increasingly concerned about the incredible destruction of wildlife habitat he witnessed in the north. After concentrating on painting the human figure for nearly 10 years at OCA, part-time while working as an environmental scientist/ hydrogeologist, the artist graduated and turned his attention to painting landscapes and cityscapes. The artist explores natural phenomena, such as clouds and weather, and wind on the water throughout the seasons of the year. In addition, the artist has painted areas of the city, which have been changing due to development pressures. He has recently started to add figures to his landscapes to bring the viewer into his paintings. To the artist, painting is about “light” on the subject matter. To get the best understanding of light, it is best witnessed and painted on location – “au Plein Air”. Consequently, the artist paints on location throughout the year, although his favourite season to paint is actually during the winter. The artist does not confine himself to painting “au plein air”, but also paints figurative studies and other compositions at his studio. Come and meet the artist and join him and Ben (gallery owner) at the Opening Reception, and celebrate his works on Queen Street, where life is a carnival. 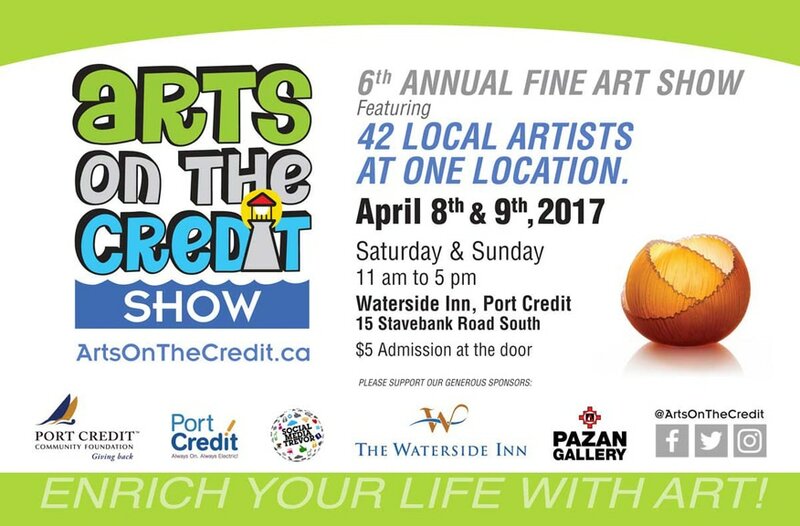 Charles Wakefield, AOCAD, is showing at the Arts on the Credit Fine Art Show at the Waterside Inn Ballroom, April 8, 9, 2017 - Booth 22. The Waterside Inn is located at 15 Stavebank Road South, Port Credit (Mississauga), south of Lakeshore, west of Hurontario and across the road from the marina. Admission is $5.00. 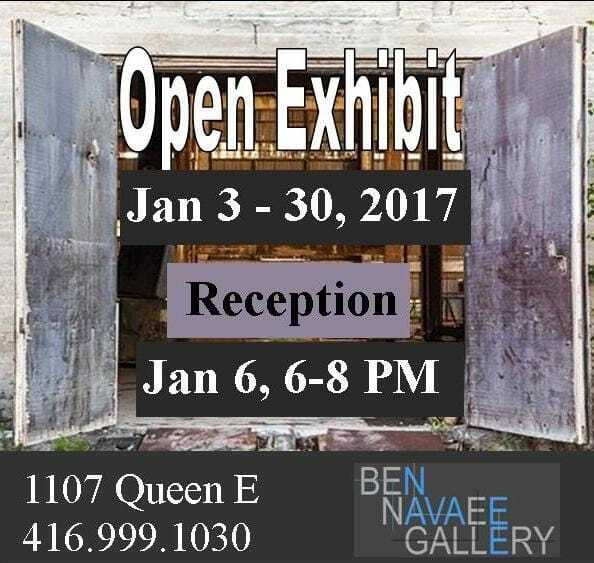 Ben Navaee Gallery - Opening Friday January 6, 2017 1107 Queen Street East between Pape and Jones on the south side of the Street. 501 Streetcar or parking on side streets. Hope to see you there. It's a group show, but there should be six of my paintings. Most have not been shown before and are barely dry! Show runs until January 30, 2017. 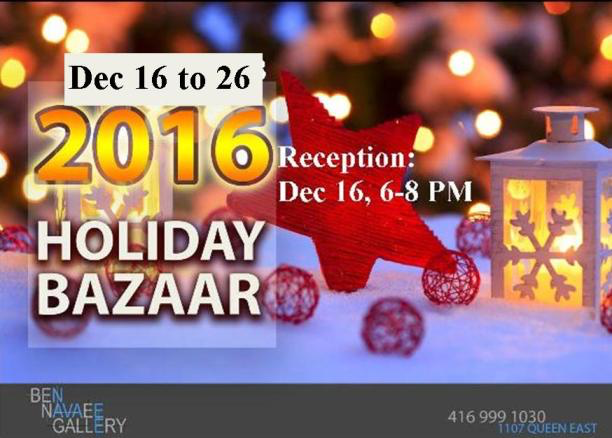 ​Ben Navaee Gallery - Opening Friday December 16, 2016 1107 Queen Street East Between Pape and Jones on the south side of the street. 501 Streetcar or parking on side streets. Hope to see you there. It's a group show, but there should be at least five of my paintings. Most have not been shown before and are barely dry! 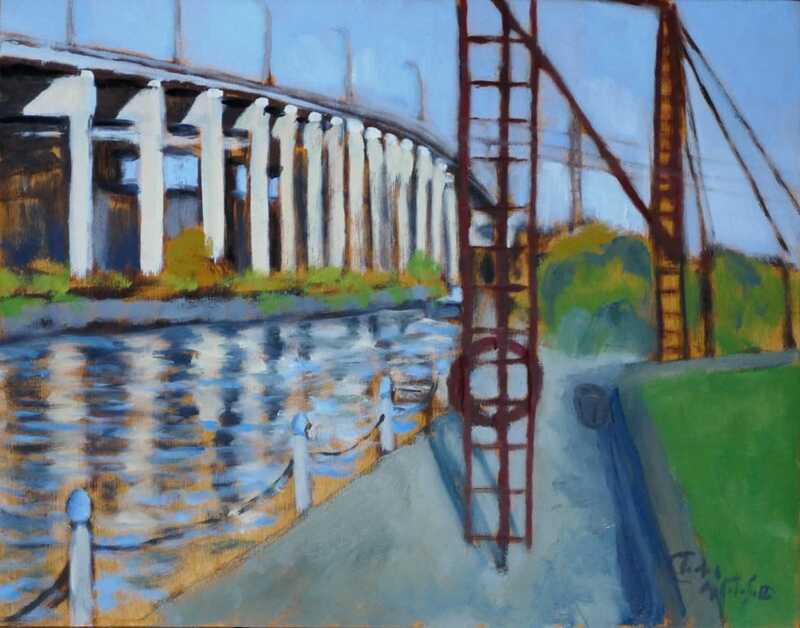 ​The Ben Navaee Gallery Presents The Paintings of Charles Wakefield, AOCAD - Figurative Works and Landscapes of the Toronto Area. Opens - Friday, September 9, 2016 from 6:00 to 9:00 PM - All are welcome. Show From: September 9 - 15, 2016. Showing at Booth 162, Oakville Art in the Park, The Bronte Heritage Waterfront Park, base of Bronte Road, Oakville. See my blog for details. Monday August 1, 2016 from 10 AM to 5 PM. Parking available. Small entry fee ($5?). I am showing inside this time. At a gallery! This might not make you very excited, but after being rained on and having baked at other outdoor shows, for me it is a nice change. The Opening is Friday August 28, 2015 from 7:00 PM to 9:00 PM. The Ben Navaee Gallery in on the south side of Queen Street EAST, between Pape and Jones (Toronto, ON). 1107 Queen Street East. I hope to see you then. I just finished showing one of my figurative paintings of a resting dancer at Oakville Art Society's Open Juried Show which ended last week. However, I am expecting to be painting Au Plein Air in the downtown shopping area of Oakville next Sunday, June 21, 2015 in the morning between about 10AM until 1:00 PM. 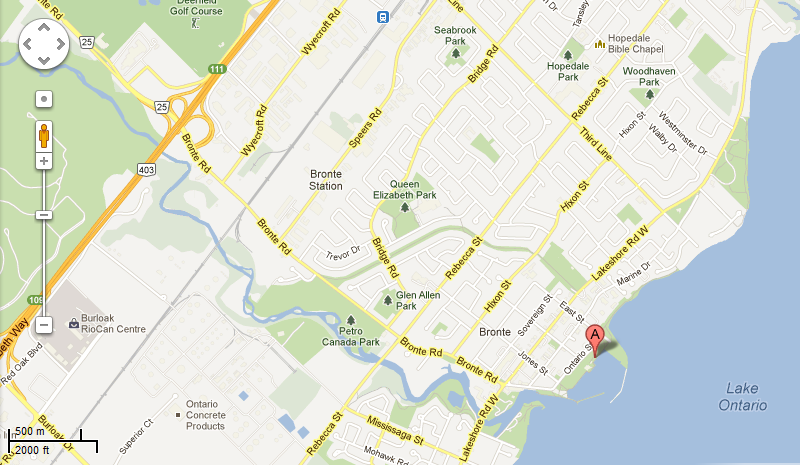 I am not sure where I will be setting up, but I expect it will be somewhere along Lakeshore Road. If you don't see me, there are going to be about a dozen artists dotted through the area doing their thing. Of course this is weather permitting. High winds, rain and extreme heat make it difficult, but we will attempt to be inspired by the weather rather than fighting with it. My paintings will be mostly plein air landscapes. A variety of sizes. Priced from about $200 to about $1000. If you want to spend more, that can always be arranged. I can accept a variety of methods of payment including visa and master card. Hope to see you there. From May 7 until May 18, 2014 I will be showing these two figurative paintings with the Don Valley Art Club at Todmorden Mills, Toronto. I am chair of our Show Committee, so I thought it was a good opportunity to put in a plug for one of our studio sessions in which we have the same model for 6 sessions (6 weeks). 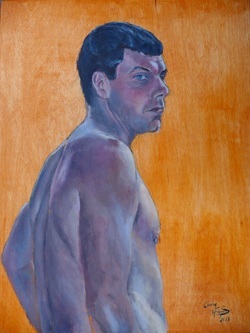 The young man I call "David Staring Down Goliath" is 24"x 18" oil on wood panel (birch?) and was completed either late in 2013 or early 2014. While the Flanco Dancer was completed in April 2014. Most of my work is landscape, but I enjoy painting the human form as well. It is good practice for an artist such as myself to keep my hand in by drawing and painting the human figure regularly. It keeps the eye trained and they are very unforgiving. 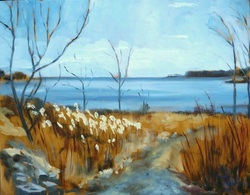 This painting is called Outer Harbour Trail Looking West. I painted it last winter on a cold winter day. I was standing on the Leslie Street Spit in the Outer Harbour Marina. In the distance is the pier on the south side of Toronto Island. In the foreground is a concrete block, a reminder that the Spit is composed of lake fill - mostly brick and concrete from historic buildings from Toronto, which were torn down to make way for the new. Now in their new life, they are forming the base for new habitat for wild life.